Sen. Bernie Sanders Releases Ten Years Of Tax Returns - Joe.My.God. Sen. Bernie Sanders today released 10 years of tax returns including his 2018 return. The release, nine months before the first votes are cast, recognizes the changing expectations that all candidates, not just nominees, should release their taxes. 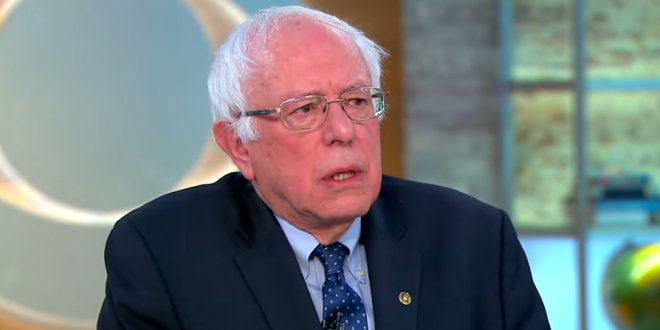 The Sanders’ tax returns, which are straightforward and uncomplicated with few additional forms or deductions, are in addition to the financial disclosures that Sanders has released every year since 1991. “These tax returns show that our family has been fortunate. I am very grateful for that, as I grew up in a family that lived paycheck to paycheck and I know the stress of economic insecurity. That is why I strive every day to ensure every American has the basic necessities of life, including a livable wage, decent housing, health care and retirement security.” Sanders said.